To INFORM, to INSPIRE and to CONNECT. We are a collaborative network of consultants, scientific writers, journalists, designers and filmmakers. Our vision is to support the acquisition, translation and sharing of knowledge in the multisectoral transnational field of Global Health. 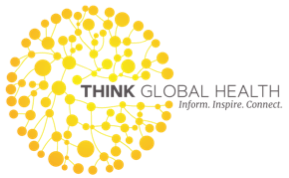 As independent Global Health advocates we are aiming at bringing strong evidence and further knowledge to decision-makers, specialists in the field and the general public. In this area we have been working with a wide range of stakeholders like WHO, WHO Regional Office for Europe, TDR, World Bank, UNAIDS, the Swiss Federal Office of Public Health, Harvard Medical School and Charité Universitätsmedizin Berlin among others. We want to inspire you to break out of common thinking and to enhance the development of new ideas and creativity. Connecting people, building new and strengthening existing networks are some of our core activities. We have an extended network of experts and have been organizing a wide range of conferences and workshops, working for or partnering with e.g. World Health Summit, The Lancet, WHO, TDR, UNICEF, Johns Hopkins School of Public Health, University of Sao Paulo, Deutsches Ärzteblatt, DIE ZEIT and others.